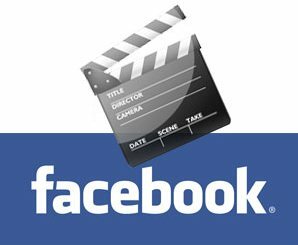 How to embed Facebook Video in Blogger or WordPress? Videos are great. They are so much faster than words, and so much better than images. People watch and share videos all the time. It is estimated that on YouTube, approximately 2 billion videos are being watched every day! And while you can easily share YouTube videos and embed them anywhere on the web, the same can't be said of Facebook videos. Facebook is another large platform where millions videos are being watched and shared daily. But sadly, Facebook does not provide any embed codes for sharing a video on a blog. That leaves us with a problem. Neither can you share a video that you like on your blog, nor can people, who are not on Facebook, see a video you want them to see. But don't worry. As always, there is a solution to almost every problem. And for this problem, there are two. So let's see how you can embed Facebook videos to share on your blog. There are two major ways you can embed Facebook videos anywhere on the web. One is the short way, and the other is the long one. One involves copying and pasting some code on your blog, and the other involves downloading a Facebook video. Let's see how that can be done. This one is really simple. Ever Facebook video has an id, as shown in the image below. You will need a video id for this trick. All you need to di is, take the id of a video (for example '956977232793'), and paste it in the code given below. Replace the word 'ID' with the video ID. That's it! You can now embed this code into Blogger or WordPress HTML editor and see the video embedded there! Another way to embed Facebook videos is to first download them, and then either upload them on your blog, or on YouTube from where you can easily embed them. This methods is both better and worse that the previous method. Worse because it will take some time to download and upload the videos. And that video might be copyrighted, which means you can be charged with Plagiarism or worse. But the good part is, that video isn't going anywhere unless you say so. When you link to a Facebook video, it is subject to its presence on Facebook. The owner might choose to delete it, or make it private. In that case, the video will no longer be accessible on your blog. Best download it first. To download a Facebook video, simply copy its URL from the address bar of your browser. Then go to Facebook Video Downloader, and paste the URL there. It will then give you a direct link to the video. Right click on the video and select on "Save Target As" (On IE) or "Save Link as" (On Chrome). This will download the video for you. You can now edit the video or upload it anywhere you like. If you have any questions regarding Facebook videos, then get in touch through the comments section below. In the meantime, read some more of our related posts. i was planning to ask the same to you. Your articles are always fresh. Something to learn new everytime. Excellent! This post is #4 in Google SERP for query "embed facebook video in blogger"
Я хочу, чтобы создать свой веб-сайт. Разве я не знаю об этом, но кому. Изучить основные сайты. This is completely new for me. But it really seems to be very useful and helpful! Thanks a lot for sharing this post, now I have strong desire to find out more about this tool. thanks for the share. For WordPress, you don't need to add the embed code again and again, just define a function into functions.php file and use the shortcode API from WordPress to call this function. Short version doesn't work. Have not tried long.